This virtual machine is cofigured for 64-bit guest operation systems. 64-bit operaton is not possible. 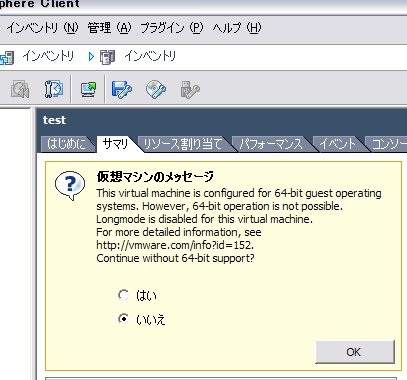 Longmode is disabled for this virtual machine.